Win CloudBees Goodies … and Check Out ClickStart! Zero to 60mph in 6 seconds! This is the typical kind of promise made in an advertisement for a super horse-powered bike, right? Lately, with the pace of technological change, I started wondering if the same promise would be possible with the many languages and frameworks I see mushrooming everywhere. And then my wish was granted â€“- with CloudBees ClickStart. 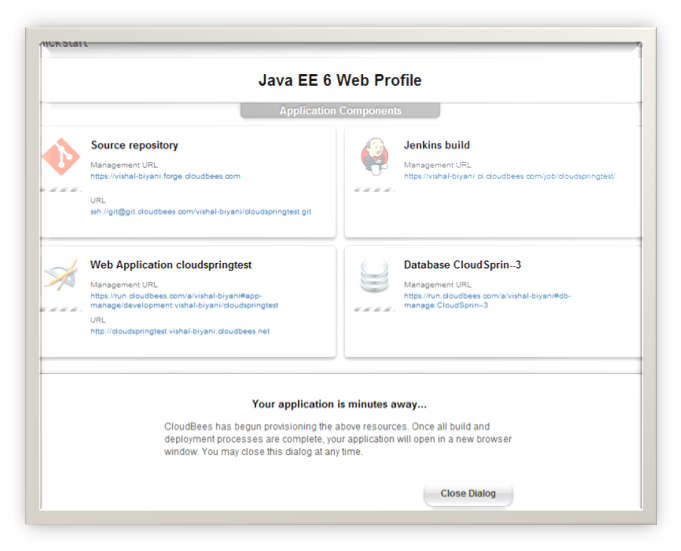 This tutorial will show how to create a Java EE 6 application with ClickStart. In the background ClickStart will create a source code repository, sample web application, database and also setup Jenkins build for the application. 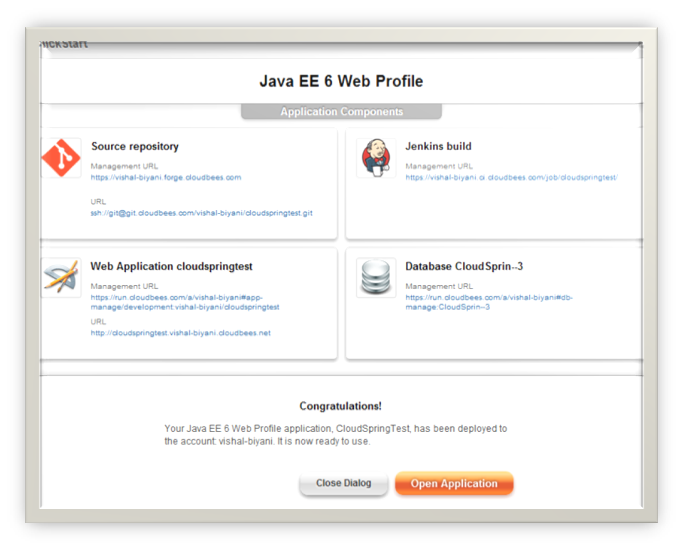 We chose “Java EE 6 web Profile” and gave it a name. The next screen shows details of what will be created. After a few minutes everything is set up and we can check out the application by going to the home page. 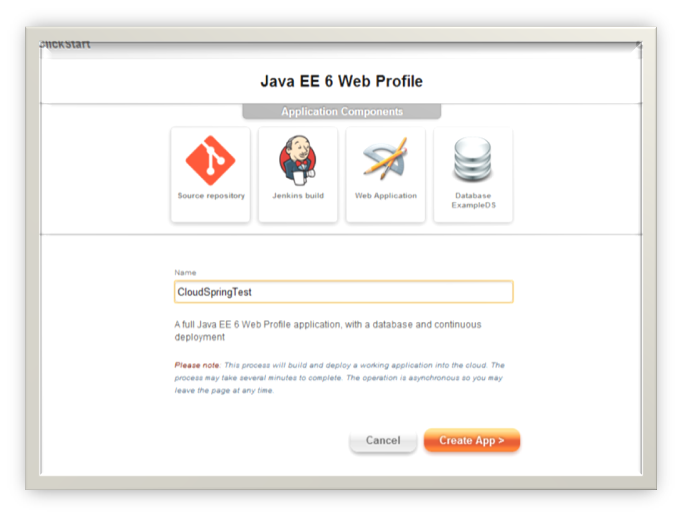 The default application is a simple Java EE 6 web app created by a maven archetype for JBoss. We can also push a test application to the repository and Jenkins will automatically build and deploy the application. 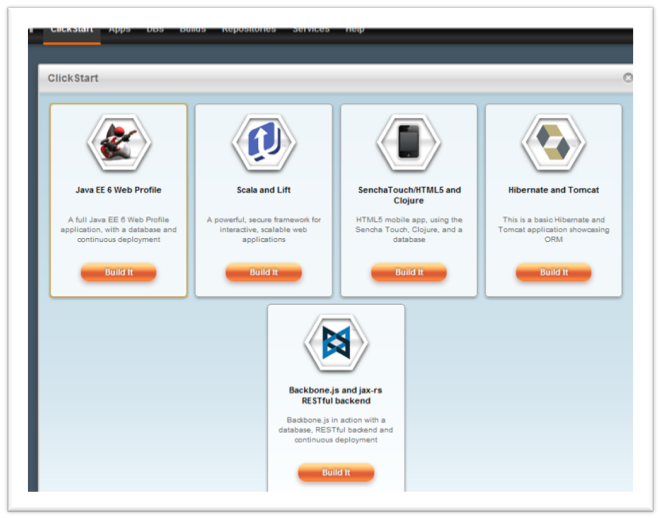 Try out the “Scala and Lift” application or “HTML5 with Clojure” applications from ClickStart. Test the application and inspect the code to see how it works. Build your own custom “ClickStart” and give back to the community. CloudBees was built from the ground up as a Java-based PaaS platform, and ClickStart has made test-driving a technology/framework a matter of a mere click. We at CloudSpring have always been excited about new technology andÂ the benefitsÂ it brings. It is in this spirit that CloudBees, in partnership with CloudSpring and SitePoint, are giving out CloudBees T-shirts, Angry Birds goodies and hardcopy of the SitePoint book Host Your Web Site In The Cloud. Tweet about this article using both of the hashtags #cloudspring and #cloudbees. The giveaway ends on October 14. Three winners will be chosen shortly thereafter. Comment winners will be notified by email (be sure to provide a valid email address in the contact form!) and Twitter winners by direct message. Good luck and happy ClickStarting!